High-ranking officials and policy planners from the Western Balkans, Turkey and EU countries will gather on 7-9 February in Podgorica, Montenegro, to discuss actions to implement the Paris Agreement on climate change. The high-level conference and workshop will focus on key international developments and the role of national systems in long-term climate policy planning. The Paris Agreement opened a new chapter in international climate policy, setting out a global action plan to put the world on track to avoid dangerous climate change by limiting global warming to well below 2°C. The agreement also invites all Parties to develop, by 2020, their own long-term low greenhouse gas emission development strategies in line with the global goals. A facilitative process held in 2018 – the 'Talanoa Dialogue' – will help Parties review the ambition and progress towards these goals ahead of the next UN climate conference to be held in Poland in December 2018. 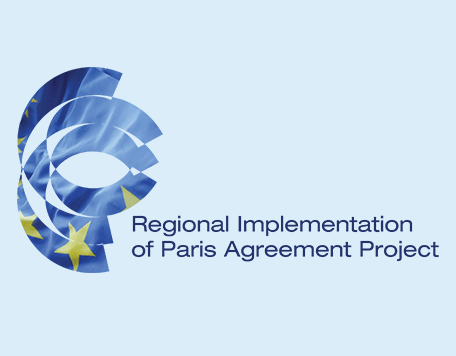 In this context, the conference and workshop in Podgorica will bring together high-ranking officials and climate policy planners from countries participating in the EU-funded Regional Implementation for the Paris Agreement Project (RIPAP) – Albania, Bosnia and Herzegovina, the former Yugoslav Republic of Macedonia, Kosovo*, Montenegro, Serbia and Turkey. The high-level event on 7 February> will be opened by H.E. Ambassador Aivo Orav, Head of EU Delegation to Montenegro. The conference will highlight actions to implement the Paris Agreement, EU initiatives to decarbonise the economy and events under the Talanoa Dialogue, as well as the need for long-term planning, regular monitoring and sharing of knowledge on progress. The technical workshop on 8–9 February will focus on national systems for inventories, projections and policies and measures, with the participation of international speakers and experts from Bulgaria, Croatia, Hungary, Finland, Moldova, the Netherlands and the UK. The Paris Agreement on climate change, agreed by 195 countries in 2015, opened a new chapter in international climate policy. Firstly, it profoundly strengthened interlinkages between climate action, sustainable energy, and the sustainable development goals. Secondly, it set out a framework for global action to mitigate climate change and adapt to its impacts in the coming decades. A key goal is the objective to hold the increase in the global average temperature to well below 2°C above pre- industrial levels and aim to pursue efforts to limit the increase to 1.5°C. The Talanoa Dialogue in 2018 aims to take stock of the collective efforts of Parties in relation to progress towards the long-term goal. It will take place in two phases: a preparatory phase in the run- up to the next UN climate conference (COP24) in December 2018 in Katowice, Poland, and a ministerial event to be held at the conference. The EU encourages all its partners to participate fully and actively in sharing their national experiences in the context of the Talanoa Dialogue. The project supports beneficiaries (Albania, Bosnia and Herzegovina, the former Yugoslav Republic of Macedonia, Kosovo*, Montenegro, Serbia and Turkey) in the development of resource-efficient, low- emissions and climate-resilient economies by strengthening capacity-building in understanding and implementing climate mitigation actions, their impacts and co-benefits. The project is implemented by a consortium led by Human Dynamics. The high-level event and technical workshop in Podgorica are organised in the framework of the RIPAP by the Directorate-General Climate Action of the European Commission and the Technical Assistance and Information Exchange instrument of the European Commission (TAIEX).